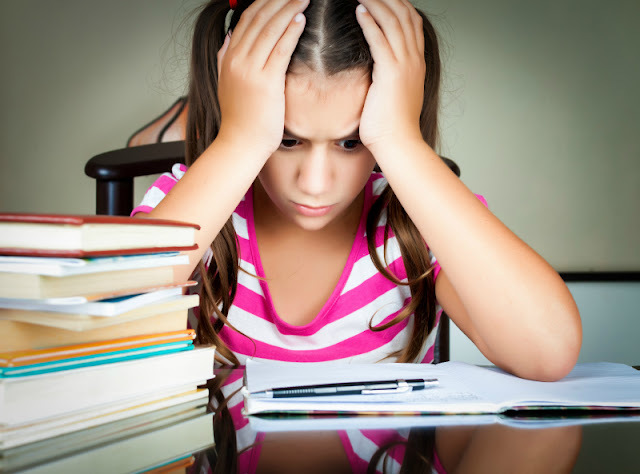 Home » afterschool » summer » Do Children Need Summer Homework? As we are preparing for summer, there is a question in the mind of many parents about the summer slide and the need to keep up. I will share my opinion on this topic in this post. The answer is simple – yes, it is. According to the authors of a report from the National Summer Learning Association: "A conservative estimate of lost instructional time is approximately two months or roughly 22 percent of the school year....” However, let’s keep things in perspective. The report continues and says, “It's common for teachers to spend at least a month re-teaching material that students have forgotten over the summer. That month of re-teaching eliminates a month that could have been spent on teaching new information and skills." In other words, the schools are generally accommodating for this dreaded summer slide by review in the first few weeks of a year, so regardless of how hard your kids worked to keep up their skills in summer, they will spend a month reviewing these same skills in school. Good thing that they are still excited about the new year, new teachers, and new classmates, so they will probably not get bored to death before curriculum moves on to new topics. Anyone who is interested in parenting topics is probably familiar with recent research on internal motivation and how it is adversely affected by external rewards. I was thinking of myself in school years and how I would be widely excited to get textbooks for the next school year early in summer. Then I would spend some time every day reading the books and doing assignments. Nobody made me do that – I did that because I enjoyed learning and I loved school. My daughter enjoys learning and school too, so why should I take away her internal motivation to learn by turning summer into an extension of her school year? So my commitment this summer is to make summer learning to be directed by my daughter and not by me. There will be no math worksheets or paragraphs to write. There will be, however, board games, computer games, mother-daughter book club activities, and science experiments. I don’t expect we will see much of summer slide at all in our Smarty if we simply let her do what she loves to do best, which is learn at her own pace. But Is There Anything Our Children Must Do in Summer? Yes. Reading is an absolutely “must do” item on my list of must do summer activities for kids. Growing Book By Book has these fun library challenges for kids that add an interesting twist to every library visit. Also, each library and many other organizations offer free summer programs with rewards systems. While, again, I don’t think that children should be rewarded for doing things they like anyway, a little extrinsic motivation could be good for reluctant readers. What are your thoughts on the preventing summer slide? I'm off to check out the summer reading ideas. Did the font on your blog get smaller? It feels smaller to me today. My main tip is to keep the screens off! Kids learn through play, and they will find educational ways to entertain themselves if the screens are off. I also think that summer is a wonderful time to read together as a family. My kids are ahead in school as well, and we use the Summer to give them the enrichment that they need. They don't get much instruction at their level in school, so, we provide it at home through after-schooling and summer. Yes, summer work is definitely important! I've heard the same stats, where kids forget 2 months' worth of knowledge and take as much as 1 month to relearn. I've also read about internal vs external motivation. For me, it's not so much about turning off the TV or having rewards. It's about making education and learning fun. We read every day because our kids want to, and they don't get any reward other than the pride of having read a book by themselves or getting to cuddle with their parents. This summer, I still plan to do worksheets and learning activities with my kids every day. There's no reason summer should be seen as a great thing because there's no school. School can be a great thing because they learn. Last year my son had a goal to visit all of the libraries in the county which I lowered to half because we have 22 libraries. We wrote a review of the different areas of the library which also gave us the added benefit that he was excited to go to every library and add more information to the sheets. He said that this summer, he wants to make reviews on all the other fun places we go. Not sure how I can make a sheet for that but maybe I will work on a journal that he can do himself to write a little review of the places we go. We are also going to start making a book of all 50 states. We are going to learn the flag and some of the other information on the state which is something he is really interested in learning because he loved learning the state capitols. I still plan on making him doing a little "work" because the biggest problem that we have is that he tends to give up if things are too hard so I want to make sure he is ready for next year to have other coping mechanisms to learn and work hard. I guess we will see how far we get in our summer learning even though it isn't necessarily the same as school. I am hoping that it puts him in a good position for next school year. We will also be spending a ton of time at library events and the pool so I am sure that we will have lots of fun doing everything! !